How to Manage and Monitor Your Manufacturing Supply Chain? Today’s manufacturing supply chain operations are impacted by efforts to modernize the manufacturing process. These initiatives include automation, integrating cloud-based technologies, incorporating data management tools, and more. Depending on your individual needs as a business, you may need to work with a third-party provider to provide you with these new supply chain management tools and services. Whatever decision you make to scale your business growth, here are some different ways you can optimize your manufacturing process. There’s no point in spending time improving a process that already works well. Instead of focusing on minor improvements, spend time on innovations that are advanced enough to make a big difference in terms of efficiency and savings. Be prepared for overhauls that will impact your future, instead of inventing solutions that aren’t needed. You may think it’s safer to purchase more materials than you or your customers need, especially if the price is right. However, the cost of storing these extra materials will increase over time. If your customer demand happens to shrink, you will be stuck with inventory you cannot use. As you focus on production rate, don’t forget about customer satisfaction. Speed is very important, but not at the expense of quality. Fast production without a control on quality will impact your customer reputation, branding, inventory flow, and goodwill across the supply chain. Forecasting and budgeting are important, but so is the marketplace. Talk to your vendors and customers about how you can improve or what they appreciate about your business. Monitor your social platforms online as customers write reviews. Read reviews on your products, and check comments on related articles, too. Do what you need to do to get a better understanding of what your customers think of you and how you can do better. Cloud technologies have been implemented into the supply chain to manage processes better. Cloud enterprise resource planning, or cloud ERPs can make manufacturing operations more efficient, especially when your supply chain works from multiple locations. You can reduce IT and related expenses by outsourcing this element of the supply chain. There are many benefits to incorporating cloud ERPs. It provides increased visibility and standardization, provides real-time supply chain oversight, and makes planning shipments and inventory levels simpler and more accurate. Today’s customers’ decisions are increasingly influenced by the how competitive the price of offers is, the desire for a seamless experience across all channels, an easy returns process, and the ability to receive the product as soon as possible. They also expect real-time visibility into the order cycle and tracking to know where their shipment is at all times until it reaches their door. By offering them multiple purchasing methods and delivery flexibility, you can meet their needs and make your customers happy. To keep your customers shopping from you and trusting you, you will need a supply chain network that is flexible, fast, and profitably responsible. 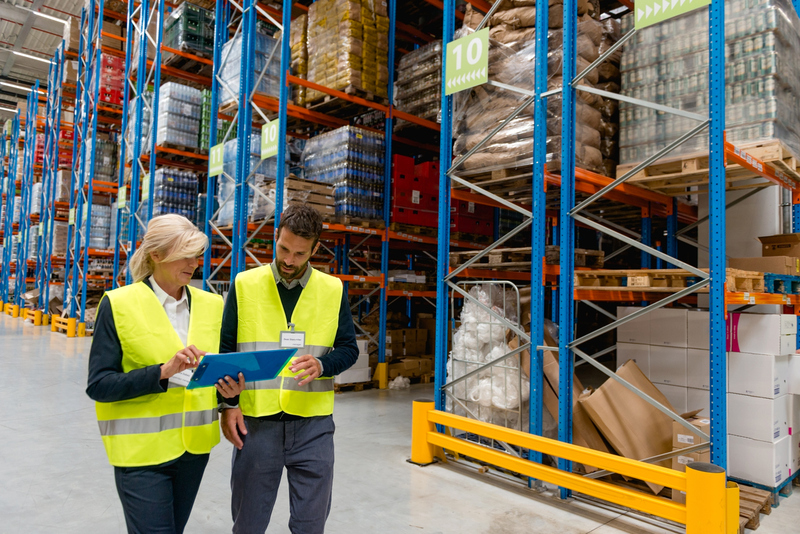 By optimizing your supply chain, especially by working with a 3PL provider, you can improve inventory management, fulfillment rates, and product availability. The technology available from these providers allow for more opportunities to collaborate, record and analyze data, and test for optimality in all areas. There are endless benefits of using either a single software system or a 3PL provider with their full inventory of services to manage all your supply chain operations. More brands have achieved higher operational improvements from working with a 3PL partner than those who haven’t. In fact, the high standards and expectations of customers’ demands means 3PLs need to make a better effort on behalf of businesses like yours to meet their needs. Working with a 3PL partner who provides these solutions can be a time and cost-saving way for you to reap these benefits. Lean Supply Solutions can help you if you are looking for a 3PL company with the latest technology. We make ourselves aware of the rising trends in the logistics industry and always strive to stay up to date. We commit to being aware of our clients’ operational challenges as they arise and help them get the most out of their supply chain processes. Our 3PL, packaging, and supply chain management can streamline your processes for better success, and by striving to ensure that the right products are provided to the right customers at the right time, we can offer consistent, accurate, and quality results. To learn more about outsourcing to our 3PL distribution team, or to ask any questions, contact us today.